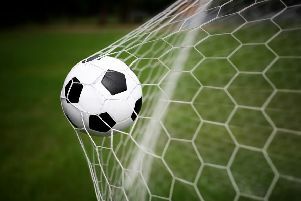 Premier League Brighton's starlets get the chance to impress boss Chris Hughton when they head for Nyewood Lane for a pre-season friendly against the Rocks. Hughton defied the odds with the Amex Stadium outfit to stay in the top flight last season and finished a creditable 15th in the table after winning promotion from the Championship a season earlier. Now the Seagulls youngsters - who recently won the Sussex Senior Cup - who are keen to break into Hughton's first team plans will bid to shine when they head to Bognor on July 17, with a 7.45pm kick-off. Rocks manager Jack Pearce says fans can expect plenty of talent on show for the match. He said: "Brighton did ever so well to get into the Premier League in the first place. And then to remain in in the division is a massive achievement and Chris Hughton deserves lots of credit for his work at the club. "Brighton have come on massively in the last few years so we are delighted that they will be coming to play us. Hopefully, it'll be a fabulous football occasion. You can expect their U23 squad to be packed with promising players. And it’ll provide a real test for our squad. It's a game we are very much looking forward to." Rocks also host a Pompey XI in a pre-season friendly on Tuesday 24 July, 7.45pm. Fans now have the chance to snap up season tickets for the new campaign in the Bostik Premier Division, where Bognor will come up against Sussex rivals such as Worthing, Lewes, Whitehawk and Burgess Hill. Adult season tickets for terracing cost £177, while seniors citizens (over 65) pay £147 and U18s pay £73. Season tickets in seating are priced at £192.00, while senior citizens pay £162. Season tickets will be on sale from the club office or from Mia in Seasons from Monday July 2 and at the pre-season friendly matches. The club office is normally open between 10am and midday (midweek only).